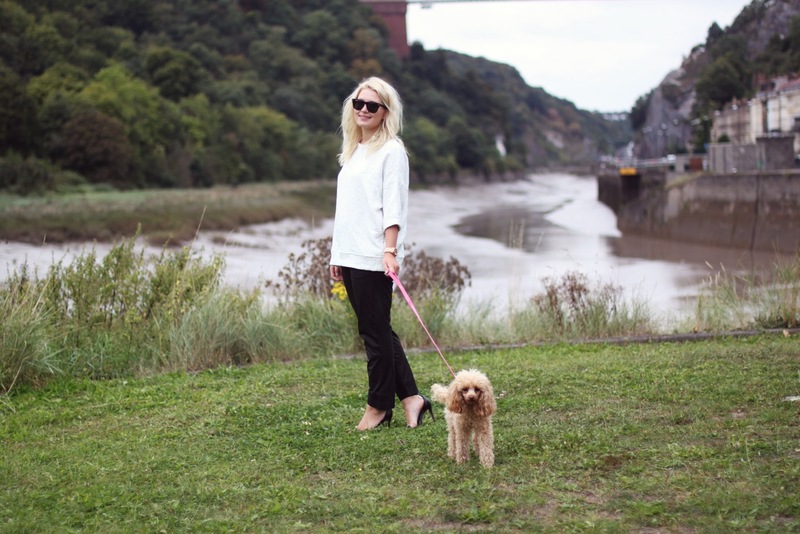 Another post featuring Audrey and my new leather trouser's by Theyskens' Theory that I picked up for an incredible price at the Fashion Bloodhound Summer Showcase held in Bath's Francis Hotel back in July (read my post and review of the event here). Not only were they completely brand new but are they one of the best investment pieces I have obtained recently and the leather is so incredibly soft. 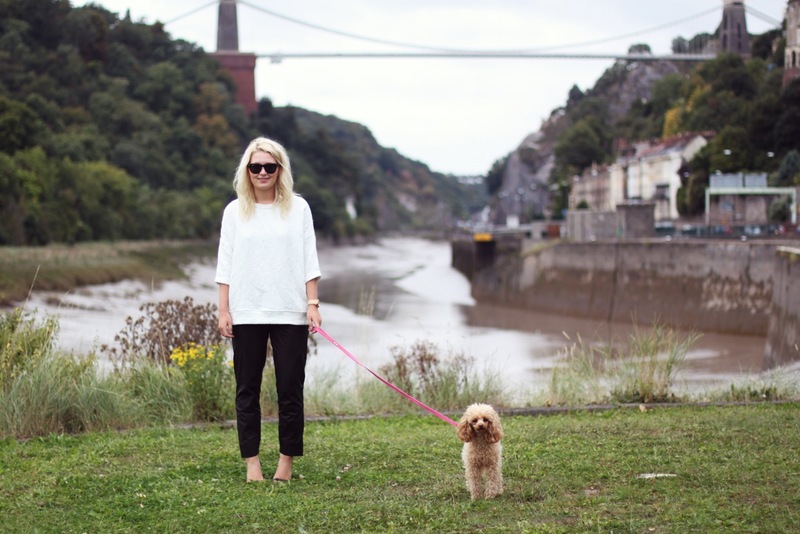 Bristol has some amazing scenery and perfect blogging backdrops so after finally discovering the little patch of grass in front of the River Avon and Clifton Suspension Bridge i'd been meaning to find, disappointingly the river had the ugliest low tide. However, it certainly makes a change to driveways, walls and streets! Those pants are so so cool! In love with these trousers, it's refreshing to see a looser shape as opposed to the standard pleather skinnies we're used to. And still infatuated with your adorable dog!